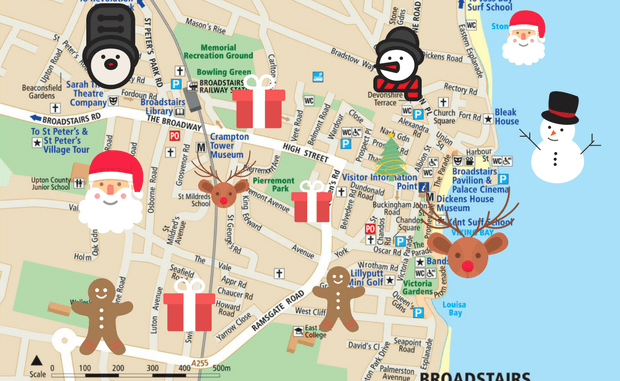 Members of the Rotary Club of Broadstairs will be taking their Santa’s sleigh across the town next month. Members will be collecting for Rotary charities and also taking food donations for the food bank. Monday December 10 – Clarendon Road, St George’s Road, Seafield Road, Swinburne Avenue, Brassey Avenue, Rosemary Avenue, Salisbury Avenue, Luton Avenue, St Mildred’s Avenue and Osborne Road. Friday, December 14 – Westover Gardens, Hugin Avenue, Camden Road, Grafton Road, Mockett Drive, Coronation Close, Prince Charles Road, Linley Road and Prince Andrew Road. Monday December – Rumsfield Road, Leas Green, Willow Avenue, Chestmut Drive, Beech Drive, The Pines, The Maples, The Silvers, Almond Close, The Hawthorns, Pear Tree Close, Cherry Gardens and Birch Close.